Fisher-Price Power Wheels as low as $123 after FREE $75 Gift Card, Free Shipping! 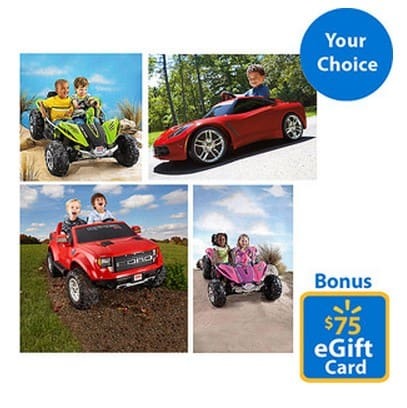 Select Fisher-Price Power Wheels are on sale for as low as $198 at Walmart.com right now. Prices vary by selection.Plus you can get a $75 Walmart Gift Card with purchase, making it like you are paying just $123! !